If you’re looking to build a new room onto an existing space or to build a separate space from your home or making a more inviting and atmospheric space out of an existing room, make sure you start the process right. The trusted team at Cidec in Melbourne can show you how! The Darker Side of Renovating. One of the most commonly made mistakes that our team witness is a plan that doesn’t include a good solid foundation to begin with. During the excitement and thrill of newly-started renovations, much of the hard hitting truths about renovating maybe skimmed over. Managing these aspects of your new build will save you money, time and horror stories later on. It really pays to look into the darker corners of your renovation and to be honest with yourself. With some good forward planning, a stronger process is formed making it far less likely that you’ll run into costly or time-consuming problems. Starting from the basics, what questions should you base your build on? Is this the best time of year to proceed with the renovation? Have we taken care to cover all trades? Could the process be modified for a faster/easier/cheaper process? What can be changed, and what must not be altered? What are most important aspects of the design to us? What is our bottom line for budget- and our expected spend? How would we manage a budget blow out? Great Communication is the Key. Of course, your tradesperson can’t read your mind. If you have unique expectations that qualify the build as to exactly how it must be done, then solid communication is crucial to the success of your build. Having your expectations written out and open for discussion with your team will help you achive the result you’ve dreamed of. Tip: Create a Document that details as well as you can, every aspect about your expectation of the design and build. As you go, make adjustments and as a follow up to every communication between you and your service provider, adjust those changes so you’re always up to date. You can forward this to your service provider so everyone is on the same page. 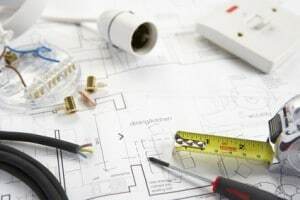 Cidec professionals are here to assist you in creating and achieving the results you really want for all electrical needs in Melbourne. We’re also great at offering creative input and ideas you may not have considered. We’re listening when you talk to us about your renovation plans. Call today for a great experience with professionals who care!